Yesterday Eileen and I were traipsing around the neighborhood in search of avocados to make some guacamole. She pointed to the rear wheel of an old Raleigh and noted it was kind of different looking. 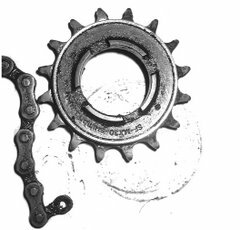 I explained that it was an old internal geared hub and thought about telling her about that 'guy' on the internet that raved about them and still sold hard to find parts to keep them ticking. That 'guy' was none other Sheldon Brown (aka CaptBike), one of cycling's greatest resources. It was with much sadness that I learned that Sheldon Brown passed away yesterday. We'll miss you.